Powered by Mom is pleased to bring you a guest review and giveaway by MomGoesWild! This is a wonderful product for helping build children’s confidence in tying their shoes. Believe it or not it’s not just for 4-5 year old but those even up to age 10 or 11 can benefit too! MomGoesWild say’s Loopeez are a must have for families with young children! 10 years!! That’s how old my son is and that’s how long it has taken him to learn to tie his shoes. It’s not due to the lack of trying or because we didn’t try to teach him. He just couldn’t get it, and that’s fine. Everyone is different. My daughter, who is 3 years younger, knows how to tie her shoes but she can’t tie them fast enough. The school system doesn’t seem to support “laced” shoes these days. Hannah came home twice with her laced shoes saying she wasn’t allowed to wear them in school because she was too slow tying them. She is in Grade 1!!! I would have thought that the school would give these kids a chance and help them learn to tie their shoes…..but it doesn’t seem that it’s part of their “curriculum” these days. I remember being in Grades 1-3, and everyone had laced shoes and we had tons of support with tying them. I wonder what my mother would have done back then, if our teachers would have sent us back home with our laced shoes? So what are you Loopeez exactly? Loopeez are “shoe tying aids” that teach kids how to tie their shoes, by speeding up the learning process and getting rid of frustration. The easy grip on the Loopeez is great for those tiny fingers and they hold shoelaces in place. These shoe tying aids keep the shoes tied longer and the shoe laces stay off the ground. Learning to tie with Loopeez is fun! For special needs children and adults, shoe tying can be a frustrating process. Occupational Therapy & Rehabilitation patients often times need assistance tying or relearning how to tie their shoes. Loopeez shoe tying aid and our bi-color shoelaces are designed to be essential tools for teaching shoe tying, and in the assistance of rehabilitation. Loopeez act as an extra hand and the bi-color shoelaces are a visual aid. Our shoe tying system offers a step-by-step system to teach how to tie shoelaces. We recommend using different color shoelaces (available in our store) so the child can learn right lace from left. Loopeez shoe tying aid enables children with Autism and Special Needs children to lean proper shoe tying technique so they will feel proud that they can tie their shoes. Loopeez attach to laces and hold the “loops” in place, acting as an extra hand. Loopeez were designed for kids learning to tie their shoes but Occupational Therapists quickly realized Loopeez could assist in the rehabilitation of stroke and brain injury victims. Loopeez can also act as a shoe tying aid for people suffering from arthritis or who have limited use of their hands or are in need of help completing a bow. If your children or anyone you know with special needs need some help tying their shoes – Loopeez is defiantly your answer. 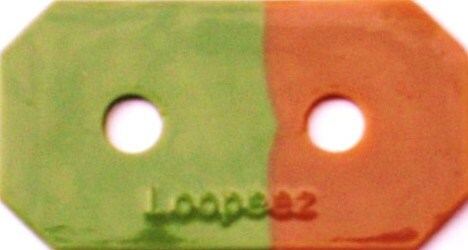 Their website – Check out all the different styles of Loopeez and laces you can get HERE! Loopeez is giving away one pair of Loopeez. The winner has a choice of a girl swirl or boys army. Thank you to my bloggy friends who are helping me promote this review/giveaway! Neither one of my boys know how to tie their shoes. My youngest could learn, if he put his mind to it…he almost has it. But my older son has autism and the fine motor skills needed to tie shoes are lacking for him. I Remember My Big Brother teaching me how to tie my shoes laces. When I was working as a Nanny I taught several Children how to tie their laces, Taught 1 child in 1 Day, Have 2 grandsons and think this would be awesome to get and teach them how to tie their laces. Thankyou. We were taught doing the bunny ears, This would really help my son to learn. I really don’t remember learning how to tie my shoes but my daughter could use this since she’s 5 and needs to start trying. My mom always tied my shoes for me until I was in the 2nd grade! We had those old timey black and white shoes. Can’t remember what they were called but everyone wore them with white socks! I learned how to tie my shoes using the bunny ear method taught by my cousin. My son is ten and does not yet know how to tie his shoes, has just been diagnosed with a motor coordination issue which explains a lot. He could really benefit from a set of these! I had a tough time learning to tie shoes and now I have 3 kids with autism and fine motor delays. Shoe tying is in my son’s IEP but he’s just not getting it. My younger sister is special needs and it took a very long time for her to learn to tie her shoes. I think this product would’ve helped her. Its hard to learn to tie now with most shoes being Velcro.